Jay Eum is Co-Founder and Managing Director of TransLink Capital, a Palo Alto-based early stage venture capital firm with strong ties into the leading technology companies in Asia. Jay focuses on consumer technology and his active investments include Chartboost, Epic, Gamevice, nWay, Peel, Penrose, Singular, and SoundHound. Prior to TransLink, Jay was Managing Director of Samsung Ventures where he established and led the US venture capital operations for Samsung. Over Jay’s 18-year career in venture capital, notable exits include Carbonite, DivX, InPhi, Intellon, PayPal, Pure Digital and YuMe. Jay is also an active angel investor and advisor to several start-ups including Coupang, Korbit, Noom, SoFi and Tapas Media. Jay received an MBA from Stanford University and M.S/B.S. in Chemistry from Seoul National University. 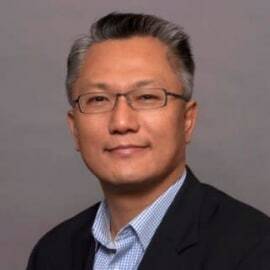 Jay serves as Chairman of the Asia America MultiTechnology Association and as Board Director of the Association of Asian American Investment Managers.